All of the rooms in our five different categories focus on providing maximum comfort and making you feel right at home. The stunning hand-painted rustic furniture and impressive views make our rooms an extra-special place to stay during your visit to Grainau. 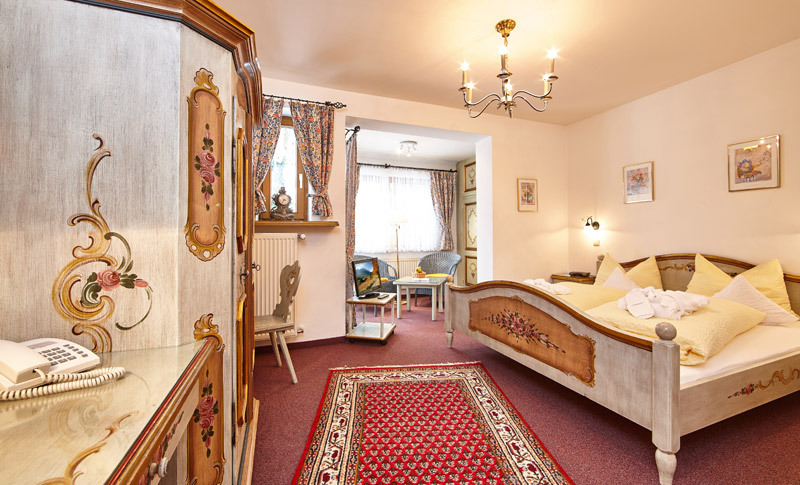 Our individual rooms reflect the unique character and charm of Hotel Bergland. Each room is different and is sure to captivate you with its unique style. 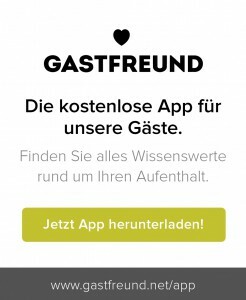 This means you can enjoy a new and unforgettable holiday experience every time you stay with us at Hotel Bergland at the foot of Zugspitze mountain! All of our rooms and suites contain hand-painted rustic furniture, a shower and toilet, a hairdryer, a radio alarm clock, a vanity mirror, a flat screen cable TV, a safe, a direct dial telephone, free wireless internet access and a comfortable seating area or sofa and armchairs. 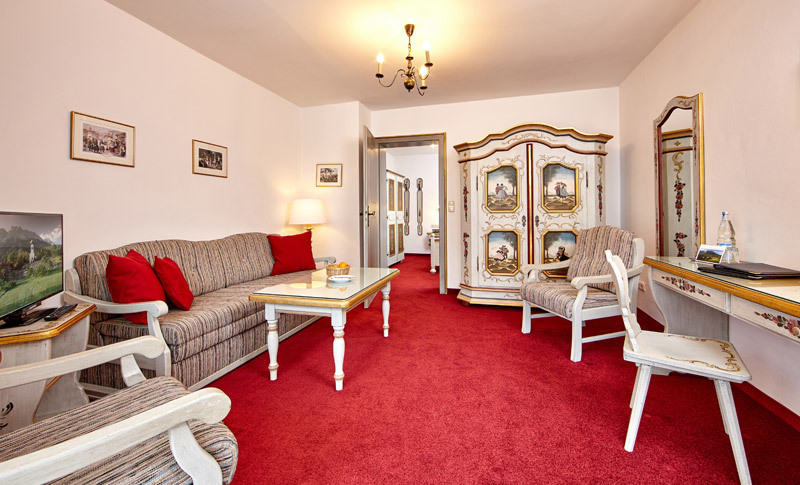 All rooms (excluding the Bergstube category) have their own terrace or balcony. 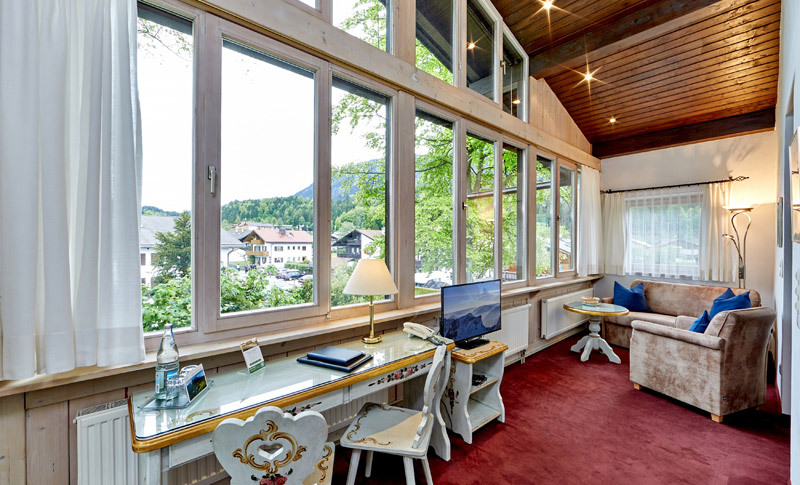 The Eibsee suites feature separate living and sleeping areas and the Zugspitze suites boast a separate bedroom with a TV and a lounge with a sofa and armchairs. 3 to 4 guests can stay in our rooms on request. 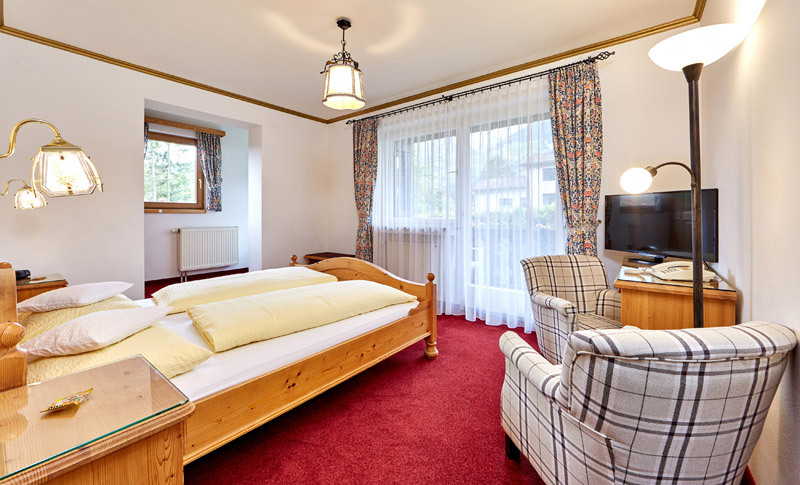 All rooms (excluding the Bergstube category) are extremely spacious and overlook the mountains. The Bergland Villa, which includes four accommodation units, can be fully rented out by a family or group in the low season. The villa offers plenty of space for 8 to 14 guests.